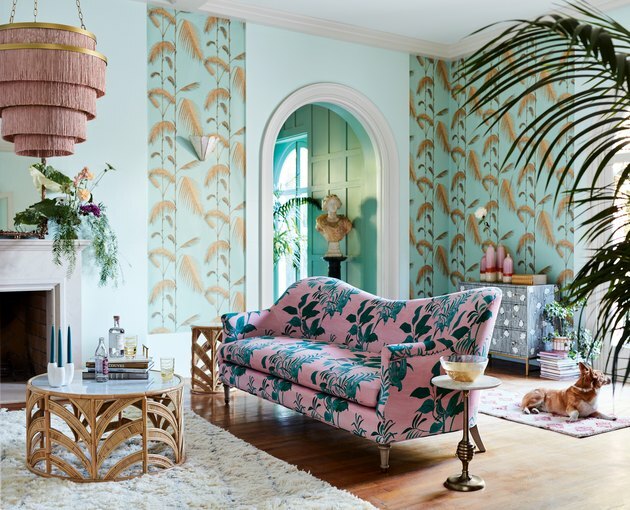 Anthropologie just announced a new line of 40 furniture and decor pieces all featuring the unique patterns of French textile designer Paule Marrot — a true trailblazer. Marrot, who lived and worked in France until her death in 1987, was well-known for her bold textile designs, most of which centered around flora and fauna. Her clients included Jackie Kennedy and the British Royal Family, and she was even awarded a Legion of Honour for her colorful, upbeat patterns. 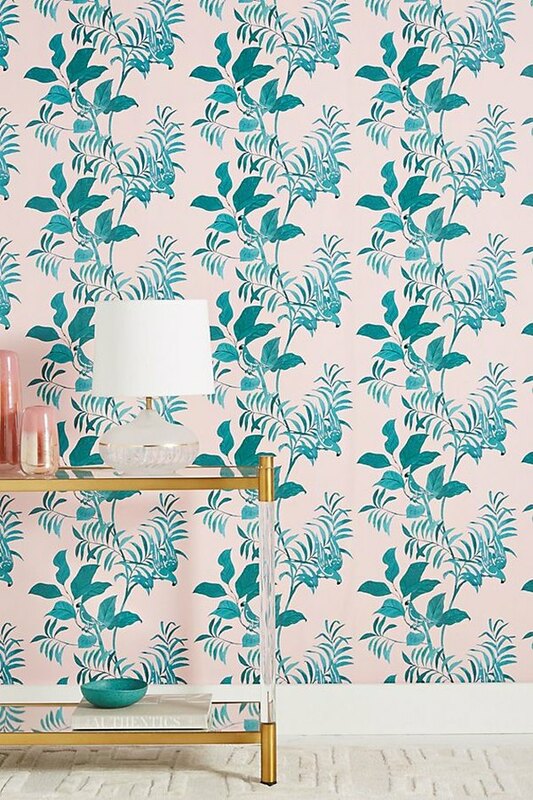 This whimsical wallpaper features a green parrot on a decidedly millennial pink backdrop, proving that Marrot was ahead of her time. 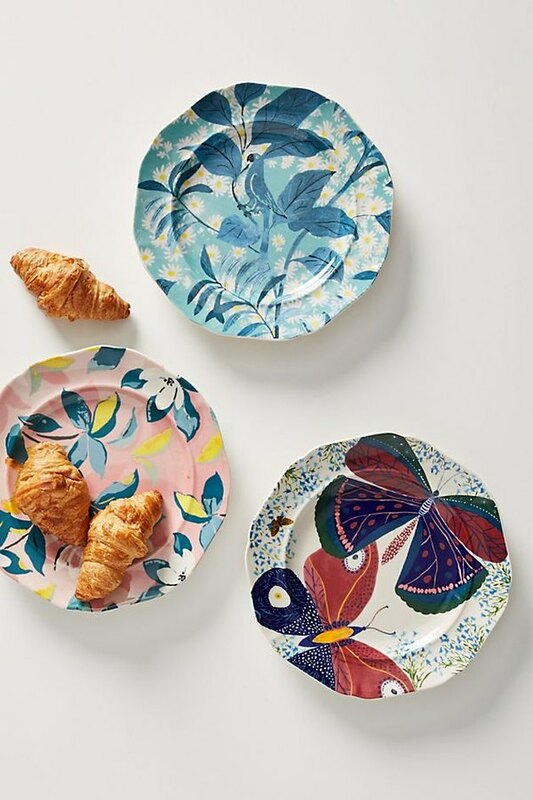 These rustic dessert plates feature playful garden-inspired patterns. 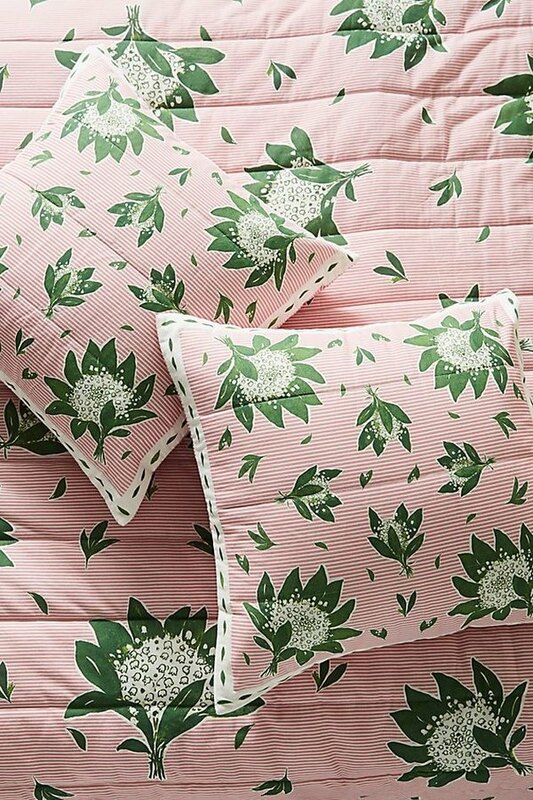 A classic pink sham gets updated with a chic green motif. 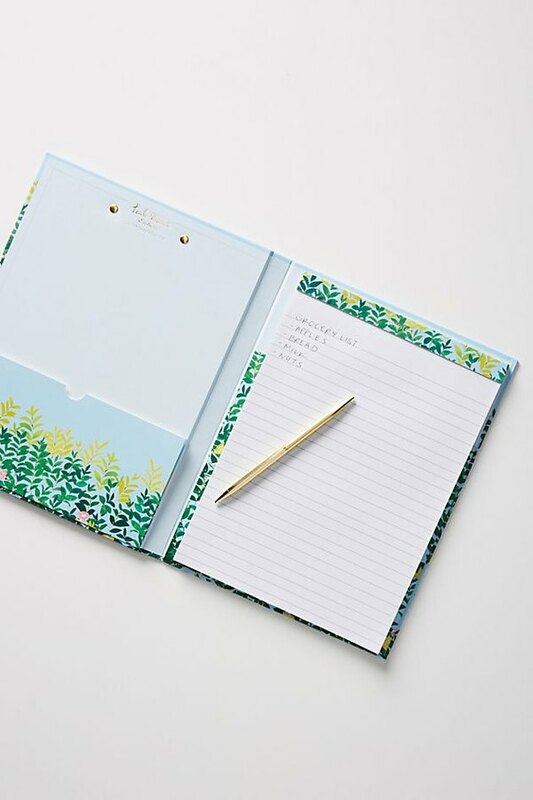 If you want a small touch of Marrot's influence to liven up your desk each day, this padfolio seems like a great pick. Ready to commit to Marrot in a big way? 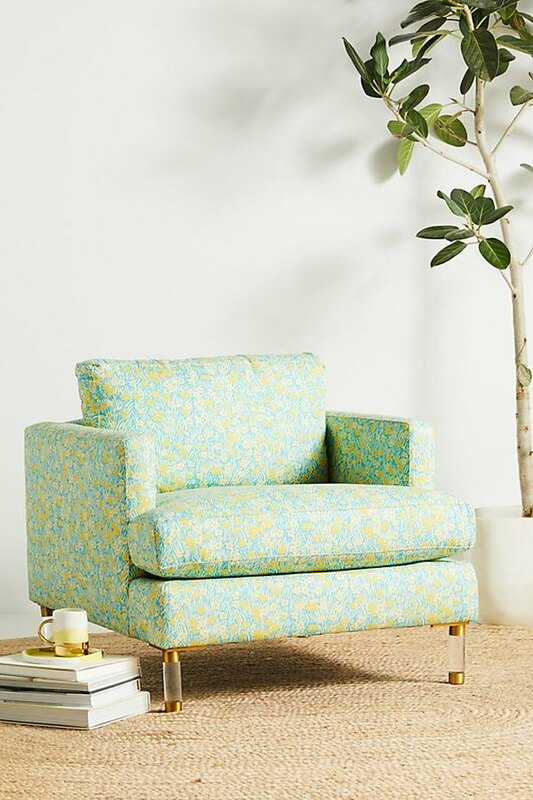 This minimalist lime armchair would look great in an all-white living room.